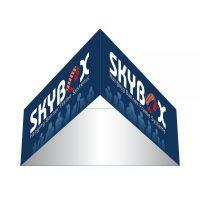 Do you need a rental hanging sign for your next trade show or exhibition event? 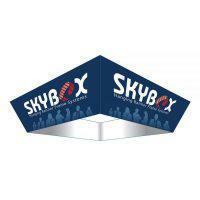 This ceiling banner with your logo to further increase your exposure at any exposition. 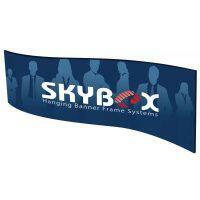 These hanging banner, expo graphic is available in many different designs to choose from. You can find rental circle, square, rectangle, oval, football, tapered circle, curved square, round and triangle. Our rental ceiling hanging banners made from top quality hardware and fabric printing with custom graphics that will turn heads in any type of setting! The circular hanging banners are normally the most popular among the rest that you can find in exhibition halls, and conventions. 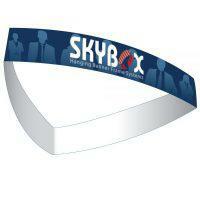 Use this hanging banner to promote your branding at a tradeshow and get noticed from all over the show floor. 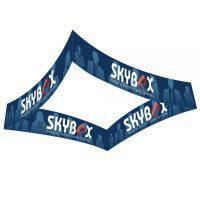 These hanging banners are available in 8ft, 10ft, 12ft, 15ft and we also make custom hanging banners for rent. 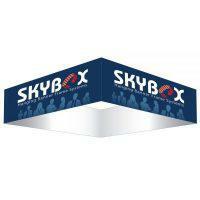 These ceiling banners offer high visual impact that brings instant attention to your exhibit. These hanging signs bring continuously reminder of your position within the exhibition area.